It most commonly affects mothers. Imagine how it would feel to be in excruciating pain every time you blinked, keeping in mind that the average person blinks about 19,000 times per day. How would you handle the pain? 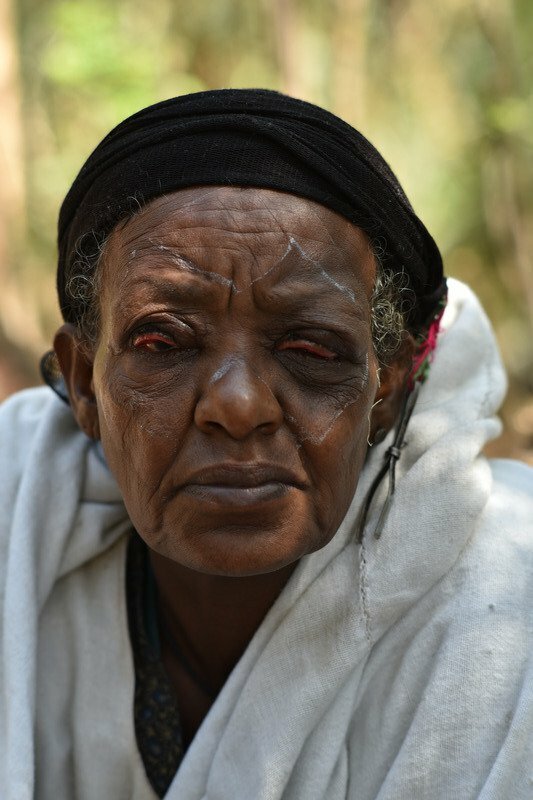 In countries like Ethiopia, hundreds of thousands of people, most commonly mothers, face this pain every day due to a disease that causes their eyelashes to turn inward and scratch the surface of their eyes. This infectious and blinding disease is called trachoma, and Ethiopia experiences some of the highest number of cases in the world. Over the years, Ethiopian women have learned to rely on primitive-looking tweezers they’ve created, called "worento" — not to be used as a beauty tool, but to be used to combat the painful side effects of trachoma. Across the country, people use worento to pull out their eyelashes to eliminate the pain caused by this neglected tropical disease (NTD). Unfortunately, lashes grow back, sometimes in less than two weeks, so while removing them temporarily alleviates pain, it is not an effective way to treat trachoma. 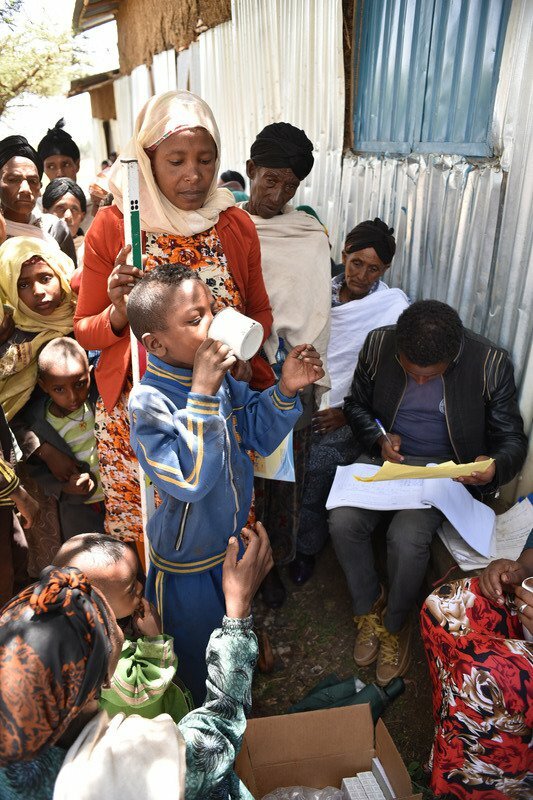 In Ethiopia alone, 70 million people were at risk of contracting trachoma in 2017. Around the world, 158 million people were at risk in 2018 — it is the world’s leading infectious cause of blindness. It is a disgrace that in the 21st century, it affects so many people, because trachoma is preventable and treatable. It is a disease of poverty, one that was eliminated from the US back in the 1950s, and that has been eliminated in almost every wealthy nation for decades. Trachoma is transmitted from one person to another — particularly from children to mothers — meaning women are up to four times more likely to go blind than men. Blinding trachoma can be treated with a 20-minute surgery, and it can be stopped with antibiotics, improved sanitation, and access to water for face washing. Having said that, there is a huge backlog in needed surgeries and people often don’t know how to get the help they need. There is a global push to end the disease, and the Fred Hollows Foundation, an Australian-based non-governmental organization, works on the frontlines with partners in the US and around the world tackling the problem. The Fred Hollows Foundation is one of the world’s leading eye health NGOs and was inspired by the pioneering work of the late Professor Fred Hollows, an eye doctor and humanitarian who believed everyone should have equal access to eye care. The Fred Hollows Foundation believes in a world where no person is blind or living with limited vision when it can be avoided or prevented. The foundation started small but over the past 26 years has grown to become a global leader in eye health, working in 25 countries. In a world where 36 million people are blind but it's preventable for 4 out of 5 of them, the Fred Hollows Foundation works to make a difference. That is why eliminating trachoma is at the forefront of its global efforts. Since 2008, the Fred Hollows Foundation has worked with partners in 17 countries to perform more than 212,000 sight-saving surgeries and to distribute 64 million doses of antibiotics. 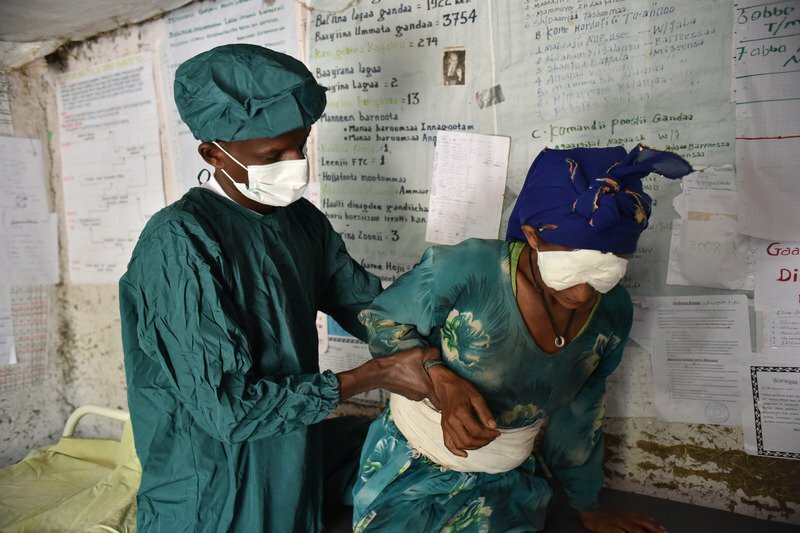 We have trained 300 trachoma surgeons and 26,000 community health workers. In 2017, the foundation implemented the largest-ever trachoma elimination initiative — supporting 1 in 5 trachoma surgeries, and the distribution of 1 in 5 doses of donated antibiotics globally. But the most impressive thing to note is that these results would never have been achieved without our amazing partnerships. The International Coalition for Trachoma Control (ICTC) brings together non‐governmental, donor and private sector organizations to support the alliance for the Global Elimination of Trachoma by 2020. As part of the coalition, the Fred Hollows Foundation collaborates with organizations including Pfizer, the International Trachoma Initiative, RTI International, Helen Keller International, Sightsavers, and Orbis, and receives funding through the United States Agency for International Development, the Australian Department of Foreign Affairs and Trade, and the UK Department for International Development. It is thanks to such a global effort that the world will one day be rid of trachoma. This article was contributed by Alison Hill, global lead communications for The Fred Hollows Foundation. For more information, about their work, click here.